With the entire NHL hockey season on the verge of being cancelled, Canadian hockey fans are hyped and ready to get their hockey fix with the broadcast of the 2013 IIHF World Junior Hockey Championship. The only drawback is that the tournament is being played in Ufa, Russia, which means that the games are set to start around 4am Canadian time. 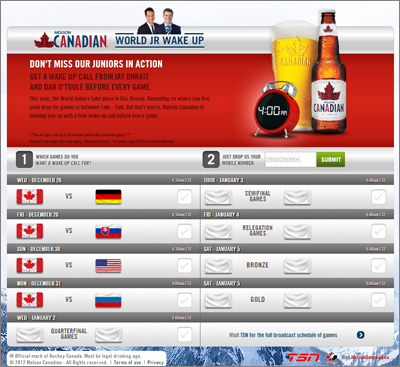 To make sure hockey fans don’t miss the drop of the puck, they can use the ‘World Jr Wake-Up‘ to schedule a call from TSN Sportscentre host Jay Onrait. 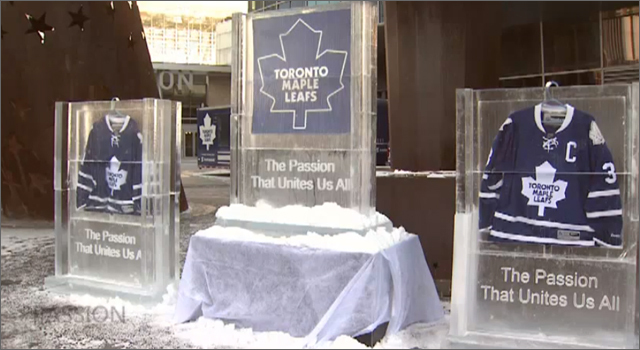 The campaign was put together by Rethink Canada. Sometimes you can spot the house of a young hockey player just by looking at the garage door. With a driveway (paved or gravel) serving as an ideal spot to work on those slapshots, the garage door serves as the perfect backstop. 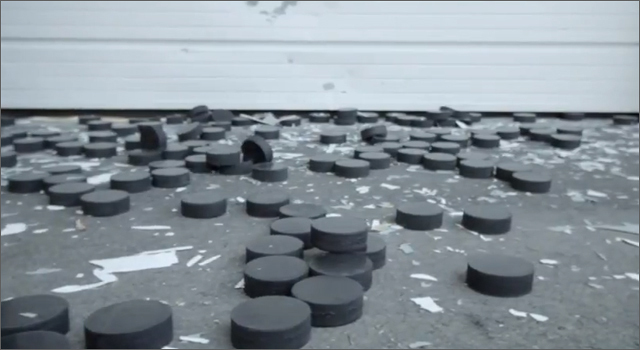 Whether it was real rubber pucks or orange street hockey balls, they all left a sizable dent. Back in July, San Jose Sharks all star centre Logan Couture and 8 year-old Ryan spent the afternoon shooting 800 pucks at a garage door, gradually knocking the paint off to reveal the outline of a helmeted hockey player that vaguely looks like Couture. At least I think it’s a hockey player, it’s been a long time since we’ve actually seen one in action. The afternoon of shooting (boy their arms must have been tired) was captured to create an ad promoting NHLPA hockey gear, sold at Walmart stores across Canada. At the end of the ‘shoot’, Logan signed the garage door, which will be displayed at the Arena in Logan’s hometown of Lucan, Ontario. The ad was created by Toronto ad agency Lowe Roche, and directed by Dean Vargas for Motion Pantry. He Tweets, He Scores! Which Team Leads the NHL in Social Media Success? It’s NHL All-Star weekend in Ottawa and the best players in the league are set to face off against each other in the skills competition and of course in the big game Sunday afternoon. 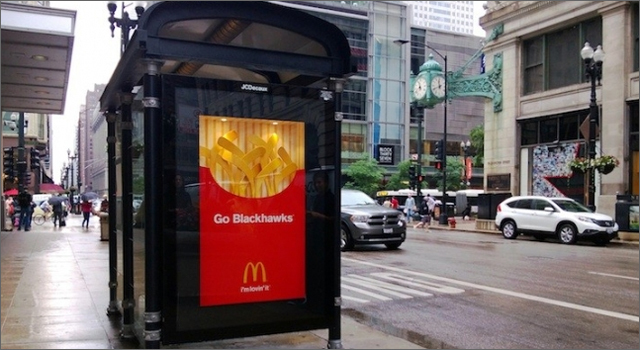 Social Media has become an essential part of any organization’s digital communications strategy, and the 30 teams that make up the National Hockey league are no different. The following is a ranking of which teams are (based on my formula) leading the NHL on the four big social media platforms; Facebook, Twitter, YouTube and Google+. Every team has an active Facebook and Twitter account, only 15 have a YouTube account, and 21 teams have a Google+ page of which 14 are active. I debated whether to include YouTube and Google+ in the final rankings, but in the end I thought it was important to recognize teams that were having success with YouTube and ones that were establishing themselves in Google+. I did not include Foursquare, LinkedIn Groups or Tumblr (the Boston Bruins have an awesome Tumblr page). It’s obvious when you look at the overall ranking that teams with long histories, strong fan bases and on-ice success are going to rate high. When the numbers were added up the Philadelphia Flyers came out on top, thanks to a top 10 presence on all four platforms. Original 6 teams were in the top half of the list, only the Rangers’ rank suffered at #16 due to their lack of YouTube or Google+ accounts. With over 800 million users worldwide, Facebook is the reigning king of social media platforms and all 30 teams have active brand pages there. Over 11.5 million people have ‘Liked’ NHL brand pages with the Penguins, Red Wings, Bruins and Black Hawks leading the league with over 1 million fans each. The new Winnipeg Jets have managed to attract 133,838 ‘Likes’ since launching their page less than a year ago on May 31. To create the Facebook rankings I used total ‘Likes’, ‘People Talking About’ and percentage of total Page Likes Talking About. People Talking About provides a nice ‘snapshot in time’ adding up all the page, post likes, shares, comments, photo tags over the past 7 days. The ranking for each metric was then added together for a final overall ranking for Facebook. Twitter is an ideal place for any fan to stay up to date on the latest news and game updates from their favorite NHL team, and all 30 teams have active accounts. Montreal and Vancouver with 233,664 and 216,747 followers respectively are out on front of the pack, with Pittsburgh trailing in third with 167,246 followers. The Winnipeg Jets are the fastest-rising team on Twitter, they already rank #14 in followers despite only launching on May 31st, of 2011. The Twitter ranking uses number of total followers, the number of lists the team has been added to, as well as the number of retweets and references in previous the 7 days. The results of these individual metrics are added together to create the final twitter ranking. Every second one hour of video is uploaded to YouTube, and a quick search on any hockey team will bring up a long list of fan posted clips. Only 15 of the 30 teams have active YouTube accounts, the remaining teams host video on their main sites using the standard Neulion video player. 2007 Stanley Cup champs, the Anaheim Ducks are the leader on YouTube with nearly 1.3 million total views. Almost half of that total is for just two videos, 375,000 views of the Predators Ryan Suter kicking the puck into his own net in a game against the Ducks, and 199,000 watched Anaheim players attempting to speak Finnish. The NY Islanders, who have had an active YouTube account since September 2006 were second with 730,243 total views. The Red Wings followed in third with 565,250 views followed closely by the Oilers with 554,868. Google+ may only be 6 months old, but in that time it has attracted 90 million fans and many more to come as Google forces new users to sign up for a G+ and Gmail accounts. 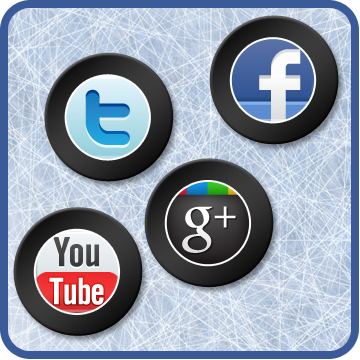 Some NHL teams such as Toronto, Dallas, Los Angeles, and Buffalo have embraced Google+ and are posting content regularly. 21 of the 30 NHL teams have created ‘official’ Google+ pages, while only 14 of those 21 were active at the time of review. Teams are ranked on Google+ rankings based on a total of how many circles they have been added to and times they have been +’d. Teams with inactive Google+ accounts were ranked below teams that are active, and teams that have yet to establish any presence were all ranked #22. Toronto Maple leafs currently lead the league as they belong to 1569 circles and have been +’d 1008 times (as of Jan 27, 2012). Dallas is second belonging to 1231 circles and have been +’d 133 times. Hope you enjoyed this social media snapshot of the NHL. I have plans to look at the NFL, NBA, and English Premier League in the near future. Please let me know if you have any suggestions or comments on the way that I ranked the teams. Now that I have the numbers I’d like to dig down a bit deeper and review the content and engagement strategies that are being used, but first I’m going to relax with a few ‘pops’ and enjoy a weekend of All Star hockey. Cheers and Go Leafs Go! Today is one of those days that Canadian Hockey Fans circle on the calendar. It’s NHL Trade Deadline day and hockey fans are tuned in everywhere, by television, radio and especially by the internet and mobile. For those who don’t know, the NHL trading deadline is when teams try to improve their roster for the upcoming playoffs, or a chance to unload those expensive players before they become free agents at the end of the year. Reporters would spend their day working their contacts by phone and email looking for that one big trade scoop. These days however, it’s not uncommon to hear that a trade was confirmed by the player through his Twitter account. Or a fake trade announced through a player’s fake Twitter account. Here’s a quick look at how the NHL Trade Deadline day was impressively handled through three prominent media outlets today. 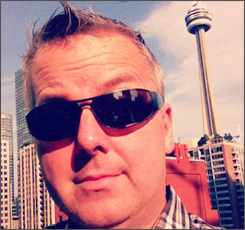 CoverItLive chat featuring user posts, video clips, images and polls. 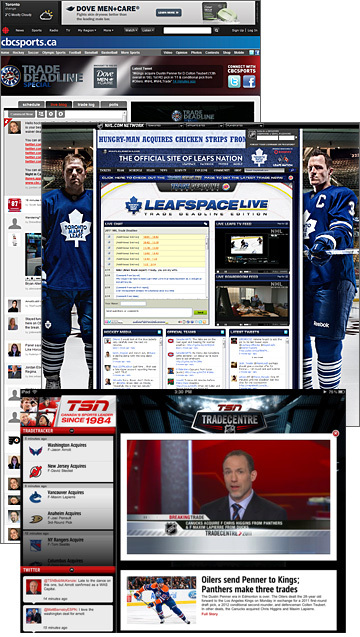 Three columns of Twitter streams with contributions by the Hockey media, official feeds from other NHL teams and tweets featuring the #mapleleafs hashtag in the third. The Score featured a basic Trade Tracker with links to PuckDaddy radio and Facebook discussion. Newspapers Toronto Star, National Post and Globe & Mail featured trade trackers as well frequently updated news and live blogs. It’s always interesting to watch what used to be considered fringe tools now taking their place in news gathering and reporting.